Everything you need to enjoy summer in the Shuswap! recognized as the top snowmobiling destination in Western Canada,” says Rysz who is proud of the many area trails.He also speaks glowingly of the new rail corridor purchase and the number of people who will be hiking and biking from Sicamous to Armstrong and beyond. Sicamous already offers an abundance of trails and parks, with Beach Park providing an excellent family experience. “Sicamous really is a hub for water sports; you can get out on the lake and water ski, go swimming, and there’s talk about a wake-boarding event,” he says.The community is Terry Rysz also proud to be called the Houseboat Capital of Canada, a draw that brings visitors from near and far. what's there to do in sicamous? Surrounded by the Monashee Mountains and several provincial parks, Sicamous is an incredible draw for outdoor activities, such as canoeing, camping, skidooing, hiking, house-boating, wildlife viewing, fishing, golfing, cycling and snowboarding. Whether you’re looking to relax and sunsoak or for something a little more adventurous, Sicamous has it all. Enjoy your visit! The iconic beauty of Sicamous, surrounded by the Monashee Mountains on the shores of Mara and Shuswap Lakes, might well be called nature’s amphitheatre as it presents nature in a dramatic way. Shuswap Lake boasts more than 1,000 kilometres of shoreline with Sicamous situated as the gateway connecting Mara Lake and Shuswap Lake. Sicamous Narrows or the ‘channel’ as its commonly referred to, is a waterway hub of activity. In Sicamous, the sound of boats is simply part of the summer ambiance reminds everyone know live in the moment and enjoy the sunshine, and have fun with friends and family. There is no better place to reboot, relax, and reenergize than on the water. A great place to start your visit in Sicamous is the Visitor Centre, where manager Sheila Devost and Heather Black, visitor services co-ordinator, will help you make the best of your visit. Located at #11 1133 Eagle Pass Way in the Parkland Mall, the visitor centre displays brochures for almost all major areas of B.C.’s six tourism region and a full wall of information on what to see and do in Sicamous and the Shuswap. Winter hours are from 9 a.m. to 4 p.m. Tuesday to Saturday. From the May long weekend to June 30, the hours are extended to 9 a.m. to 5 p.m. From July 1 to Labour Day, the centre is open from 9 a.m. to 6 p.m. seven days a week. 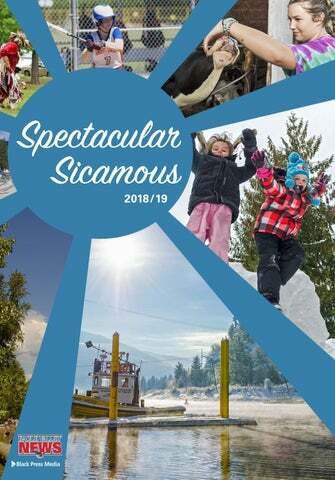 For more information, go to website is www.sicamouschamber.bc.ca or call 250-836-3313.
opportunities, including a one-hour hike from the visitor centre to the Sicamous Forest viewpoint up to eight to 12 hours to cycle or ski to Salmon Arm. •	The Malakwa Suspension Bridge spans the Eagle River and features a couple of pleasant and easy trail loops. •	More skill and endurance is required for the Mara Mountain (Owlhead) Lookout Trail that is a full day, 8.2 km hike featuring rugged mountain bluffs, alpine meadows, spectacular views of Mabel and Shuswap Lakes as well as the Monashee Mountains. •	The North Fork Wild is a 21-hectare legacy conservation park adjacent to the Perry River. Within the interior wet belt this interior rainforest is home to unique and often vulnerable plant and animal communities. It features a network of natural trails and boardwalks and provides easy to more difficult hiking. •	The level Old Sicamous Highway Trail follows the old, historic highway for approx. six kilometres. Enjoy cool shade, excellent views of Shuswap Lake, wildflowers, and birds. •	The remote, alpine wilderness of the Queest Mountain Trail features Superb views, alpine meadows, avalanche slopes, wildflowers, and a forest service camp site. But be prepared, the two-plus hour hike is in remote alpine wilderness requiring experience, preparation, and navigation skills. •	Several kilometres of pleasant trails with superb views are included in the Riverfront Nature Park near the mouth of the Eagle River. •	A more difficult hike can be found at the scenic half to 1.5-km Sicamous Creek Falls Trail. •	Outstanding views of the Sicamous Channel, Shuswap Lake and Mara Lake are the attraction to the more difficult half-hour to one-hour hike to the Sicamous Lookout. •	Not for the faint of heart, the 38-km round trip Simm Creek Loop Trail is rated more difficult to most difficult. •	Also more difficult, the Lizard Mountain Bike Trail takes over 2.5 hours to complete. •	For the more casual walker, Yard Creek Park is a popular dayuse area and campground, with trails along the creek in either direction, through cedar and hemlock forest. For more detailed information on the trails listed below, their exact location and how to access them, visit www.shuswaptrails.com or pick up a trail guide at the Visitor Centre located in the Parkland Mall. •	Located on Community Hall Road next to the firehall, Malakwa Community Park is the Columbia Shuswap Regional District’s (CSRD) newest park that will officially open in 2018. It features a loop walking trail, bicycle skills loop trail, grassed picnic area, state of the art playground. The park also features a community garden with a series of raised garden beds. Amenities include a vault toilet, picnic tables and benches. •	The Riverfront Nature Park is a lovely and peaceful place to stroll by giant Cottonwood trees along the pristine Eagle River. Located on Silver Sands Road (1 km off the Trans Canada Highway), this nature park is also great for cyclists. The trail loops in a full circle and there are several lookout points. Expect to see an abundance of wildlife like birds. There have also been bear sightings so remember to be bear aware! •	Yard Creek Provincial Park is a 175-hectare park covering 60 hectares of beautiful forested uplands and 115 hectares of riparian habitat, with 65 shaded RV and tent sites, a log picnic shelter, and toilet facilities. The park offers an extensive network of recreational nature trails. •	Finlayson Park features a children’s playground, skateboard park, outdoor exercise equipment, washrooms, and a lovely walking path around the park. The outdoor exercise equipment (which is really high-end) is located at the far end of the park along the trail. It’s not hard to exercise when you can do it in comfort, breathing the fresh air, in a beautiful forested path. Finlayson Park, located at 1213 Eagle Pass Way, is also home to the Sicamous and District Recreation Centre, Sicamous Curling Club and 4 baseball diamonds. •	Lions Park, located off Martin Street, is a very small park, but it’s charming. It has a couple of swings and a merry-go-round, picnic tables, benches, and washrooms. •	Cambridge Road Lake Access is one of seven lake accesses to Mara Lake in Swansea Point. The park has a vault toilet, four picnic tables including one that is handicap accessible. •	Canterbury Road is another lake access to Mara Lake in Swansea Point, with parking for up to three vehicles, a sandy beach with a beach volleyball court. •	Another lake access in Swansea Point is at Eton Road. It is for hand launching boats only. There is parking for up to four vehicles here. There are no washrooms on site. •	Oxford Road in Swansea Point is a lake access park on Mara Lake that features a washroom, bike rack and parking for up to four vehicles. This site is great for hand launching boats and swimming. •	Westminster Road Lake Access is a picturesque lake access outfitted with a bike rack, garbage receptacle, two picnic benches and parking for three cars. There are no public washrooms here. •	Also in Swansea Point, a lake access park at Windsor Road is a day use public boat launch and is also used by emergency vehicles to access the lake. This site has a bike rack, parking and picnic tables for public use. There are no public washrooms on site. •	The North Fork Wild is a spectacular 51.42 acres bordering the North Fork of the Perry River, east of Craigellachie. There is a well-planned trail network that leads to sandy beaches, creeks, sloughs, and the inspiring Lower Perry River Canyon. •	Sicamous Creek Trails are developed and maintained by the CSRD in collaboration with the Shuswap Trail Alliance and the District of Sicamous. This recreational trail is an easy .5 kilometre hike appealing for entry level hikers and families. There is parking for up to 20 vehicles, a picnic table, a vault toilet and garbage receptacles for public convenience. TOWING & AUTO WRECKING LTD.
Voted the 2017 Sled Town ShowDown Champion of Western Canada, Sicamous hosts some of the best alpine snowmobiling in Western Canada with deep snow, powder filled open bowls, endless meadows, groomed trails, breathtaking alpine scenery and spectacular lake views. All four alpine areas are accessible by forest service roads and provide cozy chalets to warm up in. The non-profit Eagle Valley Snowmobile Club promotes the sport, the safe use of snowmobiles, avalanche awareness and responsible use of the backcountry. Locally groomed trails, cabins and sledding areas are managed and maintained by the club under an agreement with the Ministry of Natural Resource Operations. The Eagle Valley Snowmobile Club also has a signed stewardship management agreement with the Ministry of Environment. Credit for the excellent grooming program goes to the hard work of volunteers and a dedicated team of club directors, snow-cat operators, trail head collectors and a general manager. For more information, go to https://sledsicamous.com/ sledsicamous.com. Check out the many area trails for snowshoeing opportunities and visit skilarchhills.ca https://skilarchhills.ca/ for information on some of B.C.’s finest crosscountry ski trails, located about 25 minutes from Sicamous. With 150 km of trails, including 50 km of groomed trails, and 16 km of snow shoe trails, there is no shortage of variety for the outdoor enthusiast. hookahs cigars and tons of zippos clothing accesories! Sicamous is known as The Houseboat Capital of Canada with good reason. Twin Anchors, Waterway Houseboats and Blue Water Houseboats rent luxurious, five-star vessels that can accommodate more than a dozen people comfortably and allow guests to explore beautiful Shuswap Lake. Imagine a day of swimming, fishing, and exploring the amazing shoreline in total comfort. The boats, which can sleep anywhere from six to 30 guests offer many amenities. Cosy living rooms are the perfect place to spend rainy days or evenings, watching satellite TV or playing board games. Sail up to Steamboat Bay near Seymour Arm and climb the trail to spectacular Albas Falls. Hungry Cove and Marble Point are popular beaches for houseboaters. If you’re into a big beach party, Neilson Beach is your spot and Two Mile Creek is a lovely destination with soft sand. Also a popular destination among seasoned house boaters is the floating Shuswap Shark Shack restaurant in the Cinnemousin Narrows. In the evening you can enjoy a barbecued steak and a glass of wine while you gaze over the quiet water, or have a campfire on shore (if there’s no fire ban) and pull out the makings for s’mores. Although summertime busy, the houseboating season begins in April and runs to the end of October. Spending Thanksgiving on the water is becoming more and more popular because the lake mirrors the beautiful colours of fall. It makes for beautiful photos and even better memories. Go to www.twinanchors.com or waterwayhouseboats.com https://www.waterwayhouseboats.com/ for more information and to book a super Shuswap Lake vacation. As well as houseboats, a number of companies in Sicamous rent patio boats to Sea Doos, water toys, kayaks, standup paddle boards, canoes or a water taxi service. You can also charter a boat for fishing and lake tours. Stop in at the Visitor Centre to find out more. •	Twin Anchors Houseboats rents custom-built CruiseCrafts that sleep from six to 24 guests. They are equipped with hot tubs, fireplaces, propane fridge, range, hot water tank and furnace, shower, sink and toilet, swim ladder and sundeck, kitchen utensils and barbecue tools, first aid kit and life-jackets, propane barbecue, VHF radio, rear deck shower, 100 gallons of fresh water, remote fuel station and waterside.Go to www.twinanchors.com. •	Waterway Vacations houseboats sleep as many as 10 to 30 guests. You’ll find fully equipped kitchens with hot and cold water, a gas range and oven, microwave, refrigerator, cabinets, and stainless steel sink, plus a cold storage cooler and propane BBQ. Bathrooms are equipped with a sink, mirror, toilet and shower — just like home. All of our vessels have a hot tub, water slide, fireplace and furnace, a TV and DVD. For more information or to book, go to www.waterwayhouseboats.com. Get Wet Rentals has everything you need to enjoy the water on beautiful Shuswap Lake — ski boats, personal watercraft, fishing boats, kayaks, sightseeing boats, all the water toys, and more! Go to www.getwetrentals.com or call 1-855-523-6375. Sea-Dog Boats Sales and Service rents personal watercraft, two-person tubes, junior, intermediate or adult wakeboards, water skis for kids and adults, knee boards and one or two-person kayaks. For more information, go to www.seadogboatsales.com. Shuswap Performance Watercraft, formerly Towjammerz, offers a broad range of watersport-specific towboats to satisfy virtually any need, including for use with houseboats. Rent from half a day or a month or anywhere in between. 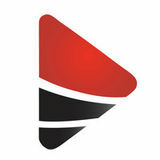 For more information, visit www.spwatercraft.com. CM Rentals offers a selection of runabouts and a 24-ft. pontoon boat comes fully equipped with a great stereo system, bimini, hydraulic steering, ski tow pylon and more. CM also rents ZUP boards, wakesledz and an Eski trainer for children. Go to www.cmrentals.ca. Red’s Rentals and Marina offers a variety of boats and toys, from three-person Sea-Doos to an 18-person, double decker pontoon boat. Boats and Sea-Doos come with all safety gear required, a temporary boat licence and one water toy of your choice — skis, wakeboard, tube or kneeboard. Go to www.redsrentals.ca. Family owned Bluewater House Boat Vacations has nine unique boat styles. Hot tub models sleep up to 21 people and the standard model sleeps up to 10 people. Boats are equipped with kitchen utensils (see the full list on the website), fire extinguishers and adult life-jackets for emergency use only. 250.836.WINE (9463) • 1.877.826.9463 #3-444 Main Street Sicamous B.C. Sicamous is a small town with big appeal. A very walkable town, it's relatively flat and you’re never too far from a park or washroom facilities. Parking is free around the muni­ cipality so park the vehicle and stroll around. Street names and lanes are often inspired by nature or in honour of a local resident. Look for Eagle Pass Way, Forest Park Street, Yew Avenue, Hemlock Crescent, Pine Street, Silver Sands Road, Sunset Lane, Fred Busch Lane, and Shea Weber Way. Most shops and services are located on Main and Finlayson streets with a few others located on connecting streets. Essential services, police, post office, and the Sicamous Civic Centre are located at one end of Main Street. The civic centre houses the municipal hall as well as the library, and museum. Local events are posted on two large community bulletin boards inside the main door. The museum displays Sicamous history in artifacts such as pioneer kitchen utensils, items from Finlayson General Store, blacksmith tools, and memorabilia from the old Sicamous Hotel. The library is on the other side of the building, with its main entrance on Finlayson Street. Like many small towns, the library isn’t simply a place to go to read, it’s a popular meeting spot for groups and an important part of the community. Main Street is also home to a grocery store complete with in-store deli and bakery, credit union with an ATM, dollar store, pub, liquor store, the legion, pharmacy, as well as cafes, and seasonal boutiques. Towards the end of Main Street is a large grassy area sporting a few picnic tables. This is the go-to spot for major events, including outdoor concerts, Canada Day festivities, and community celebrations. Located at the bottom of Main Street is the lovely Main Street Landing that overlooks the channel separating Shuswap Lake and Mara Lake. Benches, a grassy area and picnic table provide an opportunity to simply relax, and enjoy. Finlayson Street offers unique shops and services: play a round of mini golf or enjoy self care at a spa, gym or yoga studio. History buffs will appreciate the Red Barn Arts Centre on Riverside Avenue. Built in 1926, it has served many valuable services over the years, being home to the Legion, community hall, church, school, market, and bingo hall. It was declared a heritage site by the provincial government. Many of the downtown business are directly related to the tourism and boating industries including hotels, and boat, kayak, paddle board, and water toy rentals. •	Five internment camps were established between Sicamous and Revelstoke to house Canadian-born and naturalized Japanese men during the Second World War. No. 2 camp was at Yard Creek on the current site of Yard Creek Provincial Park. Few remnants of the camp remain, but if you look closely you can see small levelled-off rectangles that were once internment camp outbuildings alongside the trail. •	Few small towns have produced more NHL players than Sicamous. Over the years 15 local players have graduated to the National Hockey League, including Kristopher ‘Kris’ Beech, Colin Fraser, Andrew Kozek, Shea Weber, and Cody Franson. On the other side of Highway 97A visit Parkland Shopping Mall, on Eagle Pass Way. Besides the large bargain centre and other shops and services, it is also home to the Visitor Centre and Health Unit. As you stroll around the downtown area you will notice a number of pyramids. These gardens contain a variety of things — from herbs and lettuce to ever-bearing strawberries. Near the waterfront Beach Park there is a larger garden also offers tomatoes, carrots, beans, peas, and a variety of herbs. Residents and visitors are invited to help themselves at no charge, courtesy of the District of Sicamous. it’s a fun way to enjoy a healthy taste of summer. For the 18th year, colourful, hand painted banners are hung along Highway 97A and Main Street. This year’s theme is Sicamous Blooms, such a favourite with local volunteers from preschoolers to seniors that organizers ran out of banners. Organized by three art enthusiasts, the banner project takes place for one month in winter and banners painted by folks of all art experience are hung in the Red Barn Art Centre for one weekend to celebrate the project before being hung outside for all to enjoy. Planning a wedding, family reunion or other celebration? Here are a few options: •	Beach Park, Finalyson Park and Dog Park are available to rent. To arrange the use of a park and equipment such as a portable stage or large tent, or concession at Finlayson Park, go to www.sicamous.ca and complete the online facility use permit application or download the form. •	The historic Red Barn at 1226 Riverside Ave. has tables, chairs and kitchen with plates and cutlery for 100 people. Go to www.eaglevalleyartscouncil.com. •	Your Sicamous and District Recreation Centre is ideal for weddings, family reunions, birthday parties, celebrations of life. Contact Wayne March at 250-836-2283 or email arena@cablelan.net. •	Civil engineer and surveyor Walter •	In the 1800s the area was inhabited by Moberly named Eagle River after following a flight of eagles and finding Eagle Pass in 1865. Eagle Pass was chosen as the route of Canadian Pacific Railway (CPR), and later the Trans-Canada Highway. •	In 1885, permanent settlers arrived following the Last Spike on the railway line at Craigellachie which linked Canada from sea to sea. Among the first settlers in Sicamous were the families from Finland. Old Town, or Eagle Pass Landing as it is now known, became an almost instant town in 1871. Today it is used primarily for recreational purposes such as sledding, houseboating, hiking, swimming, and biking. •	Sicamous means narrow or squeezed in the middle. semi-nomadic Aboriginals called the Shuswap or Secwepemc people, who crossed the Rockies to hunt buffalo on the plains. In 1871 a Provincial Map shows Schickamoos Narrows, based on the name settlers gave to the local First Nations people. •	Finlayson's store and a jail were built in 1892, with a post office added in 1904. The first school opened around 1908. In 1949, a bridge was built across the channel, which could previously be accessed only by ferry boat. •	Sicamous Channel is the only inland port in B.C. that does not freeze during the winter. Sicamous residents are all about community and it shows in the number and scope of celebrations they host throughout the year. As events are regularly added to the community calendar, check out the Sicamous http://sicamouschamber.bc.ca/ and District Chamber of Commerce website at sicamouschamber.bc.ca for the most complete and updated list. If you’re walking down Main Street, stop by the District of Sicamous municipal office at 446 Main St. and check out the community bulletin board right inside the door. Stop by the Red Barn at 1226 Riverside Ave. just south of Finlayson Street from 10 a.m. to 2 p.m. Saturdays from March 31 to Thanksgiving. Choose from an impressive array of items ranging from fresh baked goods, vegetables and arts and crafts offered by local vendors. A concession serving lunch, coffee, tea and goodies is open from 10:30 a.m. to 2:30 p.m.
Every year, members of the Eagle Valley Brush and Palette Club collaborate with local businesses to celebrate the work of talented local artists. Participating businesses with art signs in their windows act as galleries, allowing residents and visitors to view the creative works of art during the months of June, July and August. For more information, visit www.eaglevalleybrushandpallete.com. Artists render their interpretation of pictures taken by the photographers. This is always a wonderful show and it’s a definite must see! The cost is $5 and it includes an impressive slide show. It’s at the Red Barn, Sunday, April 29 from 1 p.m. to 4 p.m.
Waterway Houseboat Vacations kicks off the houseboat season with their annual May long weekend concert on the lake at Cinnemousin Narrows. Juno award-winning rock ’n’ roll band ’Trooper will perform from noon to 3 p.m. on one of the company’s houseboats. Guests who decorate their houseboats and dress themselves up in 1960s fashion will have a chance to win prizes. First place winners will get the cost of their weekend rental and second place will win their weekend fuel. Go to www.waterwayhouseboats.com. Summer Stomp organizers host a home opener on May 19 in the Sicamous Legion parking lot to kick off the new bike riding season. Moose Mulligan’s, Sea-Dog Boat Sales and Service and Red’s Rental host a boat show on the waterfront at Moose Mulligan’s June 16-17. 39th Annual Summer Arts & Craft Show Hosted by the Eagle Valley Brush and Palette Club, this annual show at the Red Barn Arts Centre is one of the artistic highlights in the community. It has a long-standing reputation for its visually stunning arts and crafts exhibits, many of which are available for purchase. Participation in the show is open to artists and crafters within the District of Sicamous and Electoral Area E of the Columbia Shuswap Regional District. A special Meet the Artist event runs from 7 to 9 p.m. Thursday, June 28 and the show is open from 10 a.m. to 6 p.m. from Friday, June 29 to Tuesday, July 3. The Red Barn Arts Centre is located at 1226 Riverside Ave. For more information or to become an exhibitor, call 250-836-4624. Take a look at a wide variety of antique cars on June 29 at Finlayson Park. The District of Sicamous hosts Canada Day celebrations with a road hockey tournament on Main Street beginning at 8 a.m., food vendors and kids' activities. Festivities move to Beach Park at 5 p.m. with live music and fireworks. The Eagle Valley Arts Council hosts a special Canada Day celebration with a Children's Art Festival, which takes place from 10 a.m. to 2 p.m. at the Red Barn Arts Centre. Children can enjoy face painting and art projects they can take home. District of Sicamous recreation staff offer a Summer Kids Club Monday through Friday during July and August. Kids ages five to 12 enjoy themed weeks featuring crafts, games, field trips and daily trips to the beach depending on the weather. This is run by the District of Sicamous Recreation. The cost is $30 drop in rate, $125 for a 5 day pass, and $250 for a 10 day pass. Take a chair or a blanket and all your friends and family to the summer series of fun outdoor concerts held from 6 to 8:30 p.m. every Monday from July 9 to Aug. 20 at Sicamous Beach Park. The sponsor of this popular live music series is sponsored by the Sicamous and District Chamber of Commerce. Free movies are held at 8:30 p.m. at Main Street Park every Thursday from July 12 to Aug. 23: July 12 — Shark Tale; July 19 — Wild Hogs; July 26 — Casablanca; Aug. 2 — Mrs. Doubtfire; Aug. 9 — A League of Their Own; Aug. 16 — Top Gun and July 23 — Ferris Bueller’s Day Off. The popular annual event features organized rides to Revelstoke Dam and Quaaout Burner Pub and Grill, a poker run and a large charity bike rally, bike games, live bands, food and assorted vendors. For more information, to register for one of the organized rides or buy tickets, go to www.summerstomps.ca. The Sicamous and District Chamber of Commerce hosts the famous RCMP Musical Tuesday, July 17 in the field at Eagle River Secondary. The RCMP Musical Ride is performed by a full troop of 32 riders and their horses. Their performance consists of intricate figures and drills choreographed to music. These movements demand the utmost control, timing and co-ordination. The District of Sicamous and Sicamous and District Chamber of Commerce are teaming up to celebrate at Beach Park, with live music, barbecue and lots of activities on Saturday, Aug. 4. NHL players and graduates of the Sicamous Hockey School, Shea Weber and Cody Franson will be guest instructors in the 31st annual hockey school from Sunday, Aug. 12 to Saturday, Aug. 18. The 2018 school is full but players interested in participating next year should go to http://sicamoushockeyschool.ca/ sicamoushockeyschool.ca for information. The Annual Garlic Festival takes place from 9 a.m. to 4 p.m. at Grindrod Recreation Park Sunday, Aug. 19. The popular festival features locally grown garlic and produce, free workshops, artisans, contests, kids' activities, live music and entertainment all day. Go to their Facebook page, Grindrod Garlic Festival, for information. The popular Sicamous mushroom mania event takes place from Sept. 20 to 23 at the Red Barn. This fun event showcases exhibitors, live entertainment and beer gardens, cooking classes and guided mushroom tours throughout the weekend. Check out their Facebook page, Sicamous Fungi Festival 2018. Participate in the fourth annual 5-kilometre Sicamous Beach Park Walk/Run and Ride takes place Sunday, Sept. 20. There is a registration fee and net proceeds go to a local charity. For more information, email sicamousbeachparkrun@gmail.com. HAVE NO FEAR... THE REALTOR IS HERE! Located in the Sicamous Civic Centre at 446 Main St., the museum exhibits artifacts from the rich history of the Eagle Valley. View an eclectic collection of artifacts, from the Finlayson General Store to pioneer kitchen utensils, and archival material. There is a large photo wall with photos of many old paddle wheeler boats. The museum is open from noon to 4 p.m. Tuesday to Saturday. Located on Monk Road, just off Highway 97A near Grindrod, Baccata Ridge Winery specializes in the production of premium cool climate grape and blueberry wines. The winery is open from 11 a.m. to 6 p.m. seven days a week from May 1 to Sept. 30 and open on weekends until Christmas. From Oct. 1 to April 30, the wine shop is open by appointment only by calling 250-833-7571 or 250-838-2157. For more information, go to www.baccataridge.ca. Try out one of the 57 flavours of old-fashioned ice cream at D Dutchmen Dairy, a popular stop for visitors and residents. A range of dairy products, including artisan cheeses, are produced on location. The dairy located at 1321 Maeir Road also features a small exotic animal zoo. the open-air fruit and produce market carries an ever-expanding selection of locally produced specialty foods from within B.C. and across Canada. There are two opportunities to go go-carting within minutes of the District of Sicamous on the Trans-Canada Highway. Kelly’s Go-Karts is located near D Dutchmen Dairy on the eastern outskirts of town. Go to www.kellysgokarts.com for information. Speedway Fast Cars and Coffee Shop is located in Malakwa,15 minutes east of Sicamous. The only fully-paved race track in the Shuswap, go-karts at Speed Way Fast Cars run up to 50 km/hr. For information, go to malakwa.ca/ http://malakwa.ca/shuswap-speedway/ shuswap-speedway. Farmer John's Market, located at the corner of Grandview Bench Road and Highway 97A in Grindrod, offers tours of their state-of-the-art dairy barn and robotic milking system. The farm is SPCA certified and a store attached to the barn features ice cream, a bistro that serves homemade soups, sandwiches, pies and more, a deli and their own SPCA organic raised chickens and SPCA certified pork. Tours are available from May 15 to Oct. 15. Tour buses are welcome with advanced notice. For more information, go to www.farmerjohnsmarkets.com. This frontier-themed,18-hole miniature golf course is located just off the Trans-Canada Highway at the corner of Gill Avenue and Finlayson Street and is open from May to September. The Red Barn Arts Centre located at 1226 Riverside Ave. is a special meeting place for member groups and a great venue for performances and community events. The building was built in 1926 and is an official BC heritage site. Many user groups call the Red Barn home. •	Eagle Valley Brush and Palette Artists of all experience meet Fridays from 10 to 3 p.m., take a lunch and work on varied media such as watercolour, acrylic, oil, pastel, etc. Paint on rocks, glass, fabric and wood. It’s a fun club with instruction available. Everyone is welcome including visitors. No experience is necessary. For more information, go to www.eaglevalleybrushandpalette.com. •	Dody’s Art for Everyone Everyone is welcome to work on various art forms from 10 a.m. to 3 p.m. every Wednesday. For more information, call 250-836-3112. •	Eagle Valley Photography Arts Club Members meet from 7 to 9 p.m. on the first and third Wednesday of the month from October to the end of May. Everyone is welcome. Be sure to take in the Photo to Canvas exhibit at Hub Insurance. Every year, photographers share their favourite photos, which artists paint then show both photos and artworks at the Red Barn, After the show, both photos and paintings are displayed for one year at the Hub. Feel free to stop in to see some of the great arts produced by local artists and photographers. The Red Barn is located at 1226 Riverside Ave.
From cards and billiards, the Seniors Activity Centre is a busy place most days of the week. Special events include music, crafts, Wii bowling and chairbiotics, lunch by donation, Free Soup and a Bun on Mondays at noon, lunch on Fridays $5. For information on what’s happening at the centre, call 250-836-2446 or visit www.sicamouseniors.ca. They are located at 1091 Shuswap Avenue. Located at Craigellachie, an area only 20 minutes east of Sicamous, the historic last spike of the railroad, hammered more than 100 years ago. It was named after the village of Craigellachie, Scotland, the ancestral home of Sir George Stephen, the first president of the Canadian Pacific Railway (CPR). At a critical time in the railway's development, Stephen travelled to Britain to raise desperately needed capital funding; when he succeeded, he telegraphed his associates in Canada quoting the familiar motto of Clan Grant: "Stand fast, Craigellachie!" Donald Smith drove the symbolic ‘last spike’ in a ceremony marking the completion of the Canadian Pacific Railway at 9:22 a.m. on November 7, 1885. The last spike marked the completion of 3,000 miles of railroad tracks connecting eastern and western Canada. It was done without much fanfare, there were no refreshments, speeches, or bands because the CPR, on the verge of bankruptcy, couldn’t afford any frills. Craigellachie was designated a national historic site in 1971. It is celebrated in a park complete with a cairn, a gift shop, and picnic area. A rainforest complete with native plant signage is the setting for 350 handcrafted fairy-folk figurines set up in whimsical displays throughout the beautiful old-growth forests of the Monashee Mountains. See B.C.’s tallest tree house and browse the eclectic gift shop. Embark on a self-guided wetland boat tour at the far end of the boardwalk. Paddle through lily pads and drink in the sights and sounds of nature. For more information, go to www.enchantedforestbc.com. Visitors to the Enchanted Forest are also invited to rev up their heart rates by experiencing the Skytrek Adventure Park. Park attractions include an adult zipline course, adventure tower, jungle gym and kids' tree adventure. There is something for all ages and activity levels. Open from May 18 until Oct. 8. Go to www.skytrekadventurepark.com for more information. This unique and historic swinging foot bridge spans the Eagle River. Originally built by farmers who wanted a way to connect their farms to the rest of the community in the early 1900s, the bridge was rebuilt in 1940 by the Department of Highways. Drive east of Sicamous on the Trans-Canada Highway about 17 km and turn onto the service road just past the Malakwa Cafe. From there, follow the road about 1.5 km until it meets the railroad tracks and turn left on Summerville Husted Road. Signs will lead the way. Located in the Cinnemousun Narrows of Shuswap Lake, the Shark Shack is definitely a one-of-a-kind speciality dining for the entire family. It is the only licensed family restaurant and bar on the lake. So hop aboard, rain or shine, and enjoy the beautiful lake scenery in the open-air restaurant. It’s easy to find, just look for the eye-catching yellow and red colours. Now serving lunch, fresh and made on site. Bakery • Local Fruits and Vegetables. (REAL cream) — 54 Flavours! 6 flavours of Gelato. Lattes, Cold Brewed, Cappuccinos and more… Would you like a tour of a Robotic Dairy Farm? Please call ahead & we will be happy to do that! Local Pottery, Jewellery and more. #778-443-5111 #15 Grandview Bench Rd, Grindrod, B.C. Sicamous is a resort town and naturally has plenty of accommodation ranging from hotels with pools to homey B&Bs to campgrounds and cabin rentals, houseboats and holiday rentals. Wherever you stay, rest assured you will have friendly service, pleasant accommodations, and access to the great outdoors and other amenities. Below is a guide to give you an idea of some camping and B&B options, but if a hotel is what you’re looking for, there are plenty. Just google hotel accommodations in Sicamous to find a list. Warranty Approved Fuel System Service Air & Cabin Filters & a great cup of coffee! HOURS: Monday to Saturday 8 a.m. - 6 p.m.
stocked kitchens, bedding, flat screen TV, portable barbecue. Bookings are available from May long weekend through September. For more information, go to www.willowshores.com. •	Narrows Village Located in the Cinnemousin Narrows, Narrows Village is an adult-only wilderness resort accessible only by water. On 26 acres with 1,100 feet of lakeshore frontage and a beautiful waterfall, the resort offers a variety of activities and is the perfect setting for romantic getaways or weddings. Each site accommodates one couple. A visit to Narrows Village includes boat transportation to and from Sicamous, dinner, continental breakfast and lunch. For information, go to www.narrowsvillage.com. There are several B&B options in the Sicamous area: •	Artist’s House Heritage B&B is well known for its historic value, superb panoramic view of the Shuswap and funky 1922 mix of arts & antiques. 20 Bruhn Rd. Call 250-836-3537 or toll free at 1-877-602-3537. •	Off the Beaten Path is close to the lake and features lovely grounds. 805 Chapman Cres. Call 250-836-2641. •	The Sundog B&B has hot tubs, a large yard with a fire pit and barbecue. 1409 Rauma Ave. 250-836-0070. •	Owlhead Creek B&B is a custom built site surrounded by 30 acres of forest. 1996 Blatchford Rd. 250-836-2226. •	Bieri’s Paradise boasts Swiss-style hospitality on a hobby farm. 2630 Samuelson Rd. 250-836-4396. •	Mara Station on the River Bed and Breakfast 15 Rosemond Rd. 780-381-8991. We carry a full line of home & garden products. For all your Building material needs, come into Ace Parkland Building Supplies. 1125 Eagle Pass Way Sicamous, B.C.